I defy you to sit through Aaron and Amanda Kopp's extraordinary feature documentary Liyana without shedding a tear or, indeed, many tears of joy and sorrow at the bright and wonderful and beautiful young children whose lives are wonderfully portrayed in this award-winning doc that is currently screening as a finalist for the documentary feature prize at the 2017 Heartland Film Festival in Indianapolis. Liyana has already captured the top prize at L.A. Film Festival and a prize for Artistic Bravery at the Durban Film Festival, both prizes magnificently justified for the incredibly unique yet expertly realized vision that the Kopp's bring to life in telling this story of five orphaned children in Swaziland who are guided in collaboration to tell a story of perservance that is, quite obviously, drawn from their own darkest memories and, the tears come even as I write this, maybe even more powerfully their brightest dreams. The children construct the story of a Swazi girl who embarks on a quest to rescue her young twin brothers, the story and the young Swazi girl's journey wondrously brought to life with hypnotic animation and poetic, observational scenes within the documentary that all weave themselves together to create one of 2017's most amazing documentary features. Truly, I'm breathless just thinking about it. 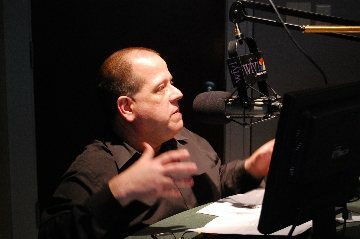 Aaron Kopp grew up in the Kingdom of Swaziland and his deep affection and respect for the nation is obvious in every frame of Liyana, a documentary feature that should serve as a teaching tool for all who wish to weave together animation and live action into their documentary feature films. The cinematographer for the Academy Award-nominated film on sexual assault The Hunting Ground, Kopp has managed to create a film that delves deeply into the lives of these children without exploiting them or reducing them to their tragedies. Shofela Coker's animation work is nothing short of extraordinary, capturing both the joys and sorrows and relentlessly endless potential of these children while bringing their powerful voices to life. Quite simply, while the stories are wonderful you could turn down the volume on your television and watch Coker's imagery dance across the screen and be completely satisfied. Philip Miller's original music is also an invaluable contributor to this production that is simply top notch in every way. Actress Thandie Newton serves as an Executive Producer for the film, while the film was produced with funding from Shine Global and Fork Films. Liyana is the kind of documentary feature that makes you fall in love. You fall in love with these children. You fall in love with Swaziland. Heck, you even fall in love with these filmmakers. It's, without exception, the kind of film that you sit in your seat watching the closing credits roll thinking "I want to watch it again." 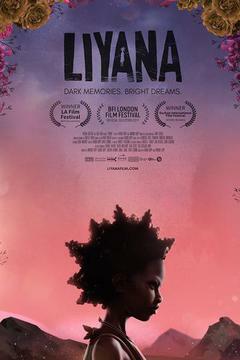 Easily one of the best films to screen at the 2017 Heartland Film Festival, Liyana is everything Heartland Film Festival stands for and much, much more. It's a reminder that movies can truly be magic and cinema can truly help to change the world. For more information on Heartland screenings, visit the Heartland Film website.